Potential Defenses to Drug Possession Charges in Wisconsin - Crooks, Low & Connell, S.C. 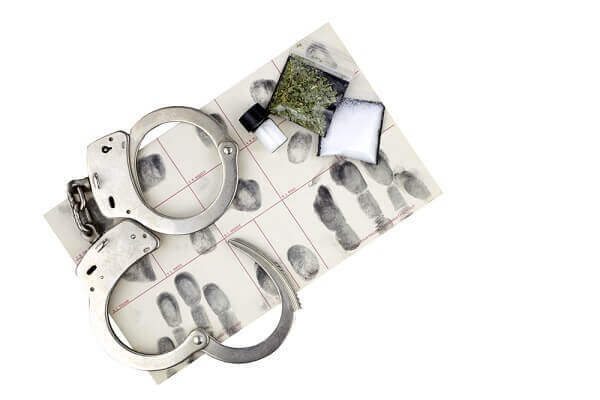 In Wisconsin, drug crimes carry severe penalties. Even a first-time offense of simple marijuana possession can lead to six months in jail and a $1,000 fine (plus court costs and other financial consequences), while felony offenses such as possession with intent to distribute can carry up to a 40-year prison sentence and $100,000 in fines. Regardless of the specific crime alleged, if you have been charged with possession of a controlled substance, the outcome of your case could impact the rest of your life. You need to have a thorough defense strategy, and this starts with assessing the types of defenses you have available. Under the Fourth Amendment to the U.S. Constitution, the police cannot stop you without reasonable suspicion, and they cannot arrest you without probable cause. These Constitutional principles also restrict when and where the police can conduct searches and seizures. If the police violated your Fourth Amendment rights, any evidence obtained subsequent to your arrest may be inadmissible in your case. In criminal cases, the prosecution must prove the defendant’s guilt beyond a reasonable doubt. If the prosecutor’s office does not have the evidence required to prove each element of the alleged offense – either because of a Fourth Amendment violation or because the police failed to find the necessary evidence during your arrest – then you should not be convicted. In fact, with experienced representation, you may be able to have your case dismissed prior to trial. The police make mistakes just like everyone else; and, in some cases, they will make arrests for drug possession when the substance possessed is not actually illegal. If you were arrested but you were not actually in possession of a controlled substance at the time of your arrest (or the police cannot prove you were in possession of a controlled substance), you do not deserve to be convicted of the crime alleged. If there is no way to challenge the police’ and prosecution’s assertion that you possessed a controlled substance, then you may be able to dispute the amount you are alleged to have possessed. Under the Wisconsin statutes, the amount possessed can be used as evidence of “intent” to distribute, and disputing the State’s weight measurement or calculation may be a way to get to a lesser charge of “simple” possession. There are a variety of other partial defenses that can often be used to seek reduced charges or sentencing as well. For example, under Section 961.49 of the Wisconsin statutes, the period of incarceration possession with intent to distribute can increase by up to five years when the arrest occurs within 1,000 feet of a school, park, or certain other designated locations. If you can demonstrate that you were actually more than 1,000 feet away when you were arrested, this additional prison time should come off of the table. Contact the Criminal Defense Lawyers at Crooks, Low & Connell, S.C.
To find out what defense you can assert in your drug possession case, contact the law offices of Crooks, Low & Connell, S.C. You can call (715) 842-2291 to speak with someone at our offices in Wausau, or send us your information online and we will be in touch as soon as possible.